← Happy National Ice Cream Day! I ordered them on a Monday, after work of course…and they arrived on Friday in an insulated box. It was really hot, but the chocolate showed no signs of melting. Each bar came custom wrapped with nutrition, and ingredients listed on the back. First, the base of each bar is Belgian chocolate, which can easily stand on it’s own. Second, you add ingredients from an extensive list on the site. The flavor combinations I chose were very good, and the ingredients were fresh. 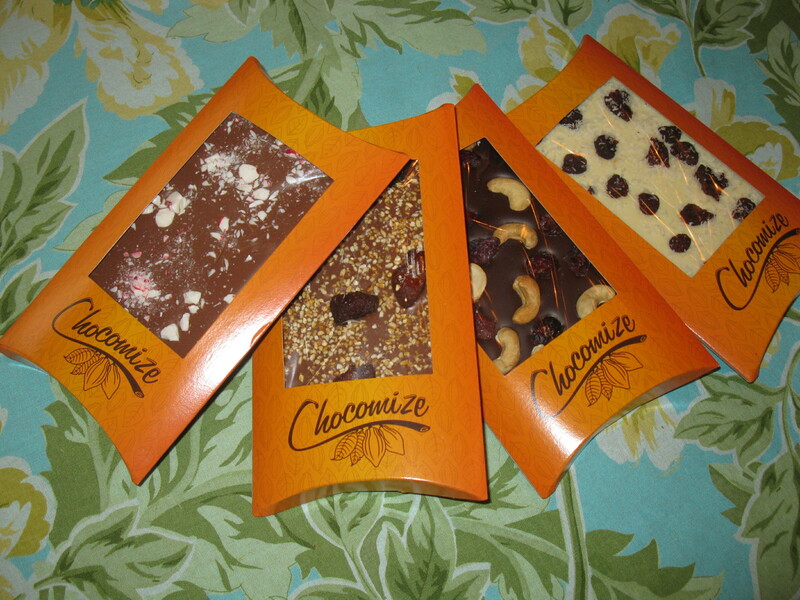 My favorite was the white chocolate with coconut, and dried raspberry, then the milk chocolate and peppermint pieces. The milk chocolate, caramelized krispy rice, and dried strawberries was good, and the last bar of dark chocolate, cashews and dried cranberries will be sampled soon. I only tasted it last because I’ll always choose milk, and white chocolate before dark chocolate. The site was really easy to use and the shipping was only $4.95 which included the insulated box. I’m very impressed and think these would make great gifts for your friends and family. I think I’ll be ordering again soon! Posted in coconut, Dark Chocolate, internet treats, Milk chocolate, references, recipes, White Chocolate. Bookmark the permalink.